Crystal paruparo For SUSIE !. crystal buttefly. Wallpaper and background images in the mga paru-paro club tagged: susie butterfly crystal image fan art. 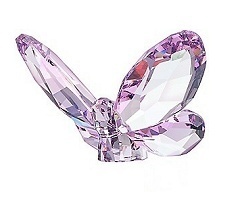 I hope you like this gorgeous crystal butterfly Susie ! Oh Thank you Berni! I just put it in the window sill so the sun will touch it and throw prisms across the room! Oh....it's so beautiful! It really is i just adore crystal !!! Oh me too. I used to have a lot of them hanging in my kitchen window. As the sun touched them, the other side of the room was filled with beautiful color prisms! That sounds absolutely gorgeous !!!! Here in America they are not expensive. Just buy 1 or 2, what ever amount, and your collection as begun!! Do you have a window that lets the sun in?